The monotype is the last in a series of abstract art hand pulled prints I created using bird feathers. 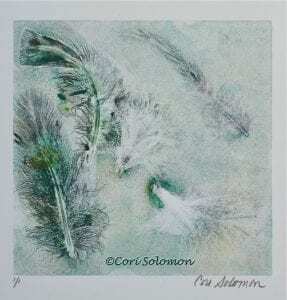 This Monotype uses the ghost print to emphasis the feathers. To purchase this abstract hand pulled print email Cori.